IPL (Intense Pulsed Light) treatments utilize advanced technology that is non-invasive to remove brown spots and sun spots anywhere on the face, hands, legs or elsewhere on the body. * It is also potentially effective for the treatment of melasma, red spots and rosacea. * At the Laser Aesthetic Center, we offer IPL treatments with Cutera’s LimeLight Facial™. Our aestheticians will meet with you and evaluate your skin care needs prior to recommending IPL treatments. We will ensure that your skin is healthy and safe to treat. Treatment sessions typically last between 15 minutes to a half hour. …or anywhere else on the body. In order to learn more about whether the LimeLight can even out your skin tone by removing brown spots, schedule a consultation. Am I a Candidate? 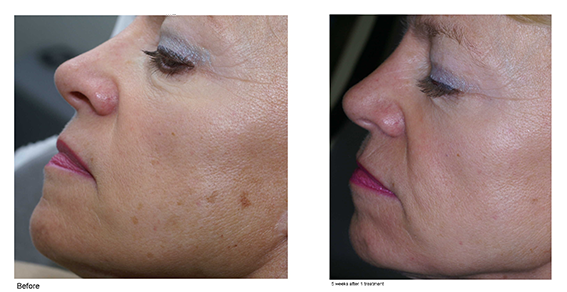 Schedule a Complimentary IPL Treatment Consultation.